It's city versus city in the ultimate public battle to woo Amazon, and the very public courtship process may be one of Amazon's most genius moves yet, according to experts. "They are playing a game that no one else was playing before," said Andy Levine, president and chief creative officer at Development Counsellors International, a marketing firm. "That’s the one thing about Amazon. They’re not afraid to change the rules." On Thursday, four months after Amazon set off the feeding frenzy of proposals, the online retailer announced it had whittled down a list of 238 proposals to just 20 cities. The next round, according to Amazon, will focus on a deeper look at each city's proposal and evaluating how Amazon would fit into its new second home, wherever that turns out to be. "Twenty cities is still a pretty long list. You have all these cities that are going to be clawing over each other to outdo themselves," said Levine. "A lot of resources and time and energy are being spent to try and woo Amazon." He added: "It has our world a-twitter. Everyone wants to see what Amazon does, and if this is going to become a trend." It very well could become one. Another tech giant, Apple, announced on Wednesday it planned to build a second campus and add 20,000 jobs. The company said it would announce the location later this year. While it's unclear if they'll solicit requests the same way Amazon has — or if they already have a location in mind — there's no doubt that the HQ2 bidding war will likely inspire other companies to follow suit in the future, said Gene Munster, managing partner at Loup Ventures. "It’s a good model. It benefits the companies because it creates this competition so I think you will see more people do it," Munster told NBC News. A decision is expected sometime this year, and it's unclear whether Amazon will prune the list before handing out its final rose to the winning city, where it plans to invest $5 billion and create 50,000 high-paying jobs. When getting to know its suitors, Amazon looked for a list of traits, including a strong labor pool, a "business friendly" city and having a location in mind that will be no farther than 45 minutes from an international airport. 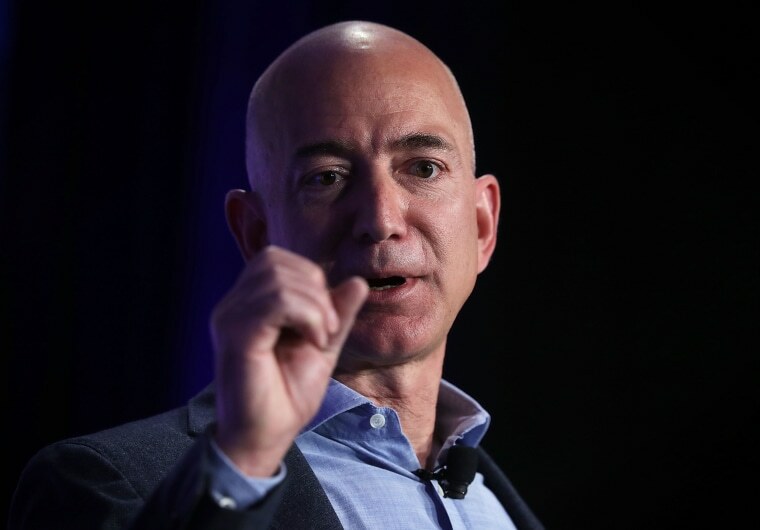 "From the 20 cities on their shortlist, I believe Amazon will be focusing in on checking the data accuracy and assurances from the top cities," said Patrick Moorhead, principal analyst at Moor Insights & Strategy. "[And] primarily fishing for discounts in the form of, let’s say, tax credits." Wherever Amazon chooses, it will provide a huge boost to the local economy. The company's investments in Seattle from 2010 to 2016 added $38 billion to the city's economy, according to Amazon. A Moody's analysis released on Thursday noted a few surprises on Amazon's shortlist, including Newark, NJ, which ranked low due to "high costs and a poor business environment," and Indianapolis, Indiana and Columbus, Ohio, which both lost points for "low quality of life," which includes factors such as school quality and diversity. While they didn't make the shortlist, quite a few cities deserve an "A for effort" in their quest to attract Amazon. Ryan Smith, CEO of Qualtrics, a Salt Lake City company worth more than $2.5 billion, was eager to have Amazon as a neighbor.